Home / Articles / Pak Agri Outlook / Eastern Filbert Blight. What is it and what do we do about it? Eastern Filbert Blight. What is it and what do we do about it? 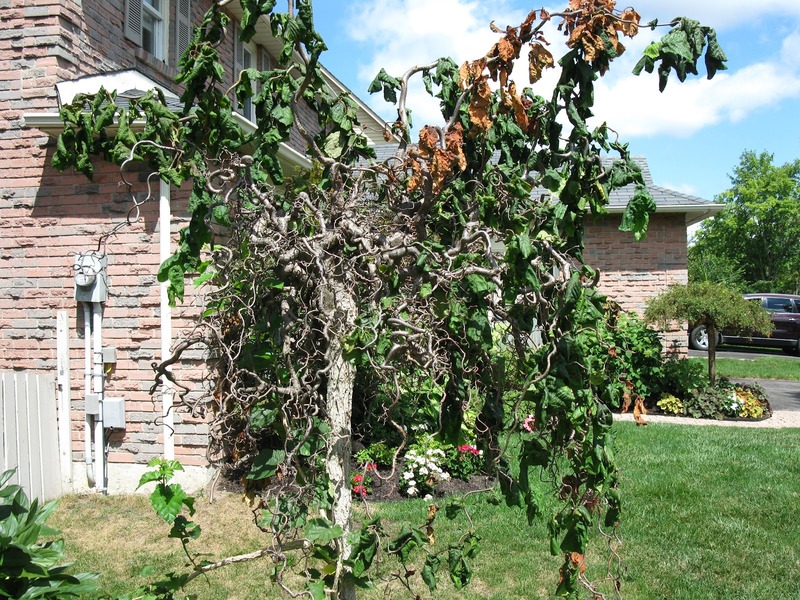 Eastern Filbert Blight (EFB) is a disease of Hazel shrubs and trees. As I have explained in my previous article (What’s in a name? 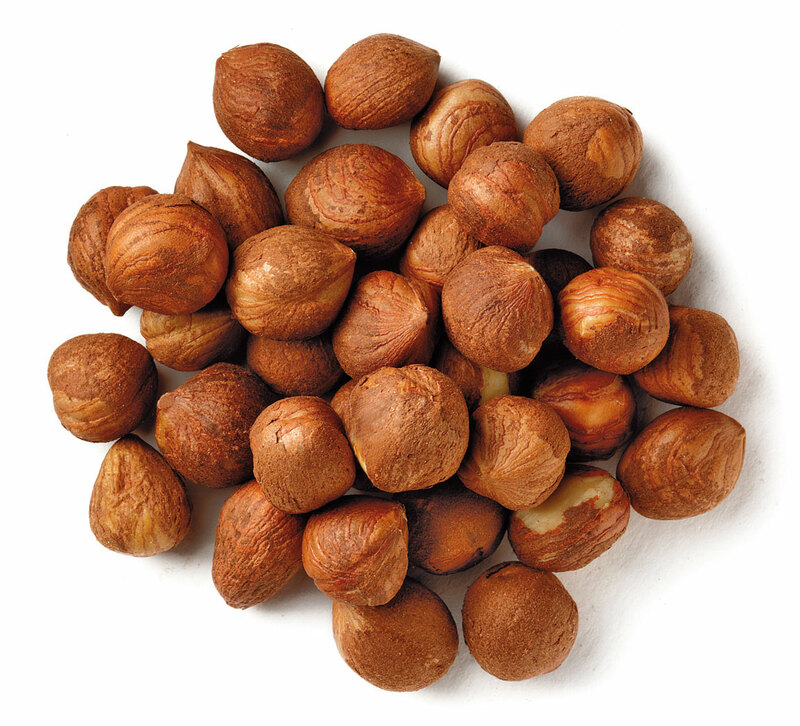 Hazelnut vs Filbert), Hazels are also known as Hazelnuts or Filberts and even Cobnuts. Eastern Filbert Blight is caused by Anisogramma anomola. This is a fungus originating in northeastern North America, and it infects Hazels (Corylus species). When growing on these plants (i.e. plants that are native to the area that this fungus naturally occurs), the fungus is not a problem. The small cankers of a mild Eastern Filbert Blight infection. 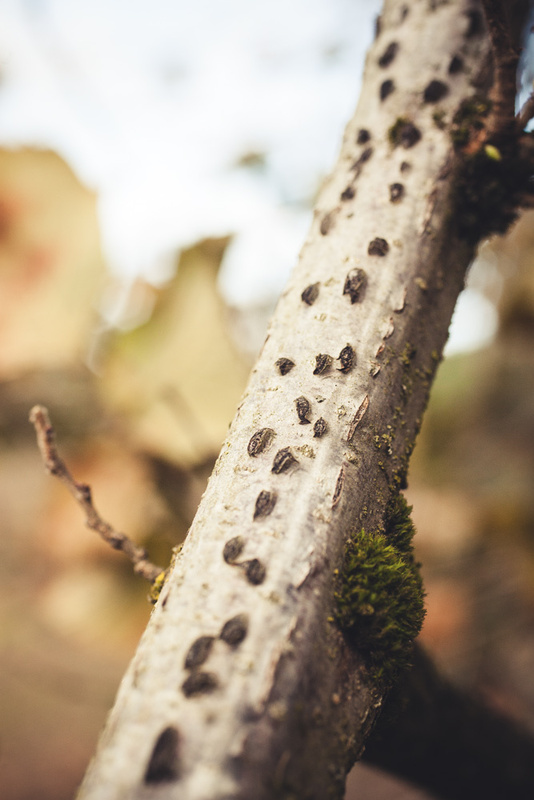 However, with the advent of international travel and the spread of cultivated plants, we soon realized that this fungus can be deadly to non-native Hazels (i.e. Hazels that are not native to the eastern United States and Canada). When these plants are infected, very large cankers grow around the trunk and slowly suffocate or “girdle” the plant. Most plants die within 5-10 years after infection, and plants that do not die have a significant decline in productivity. The problem is that most commercial orchards are composed of non-North American Hazels, typically varieties of the European Filbert (Corylus avellana). These plants are devastated by Eastern Filbert Blight. Many attempts to grow the tastier European Filbert in the eastern U.S. failed due to poor understanding of this disease; however, large and successful orchards of European Filberts have grown very well in the Pacific Northwest for over a hundred years. Unfortunately, in 1973, the Eastern Filbert Blight was identified in the Pacific Northwest. How it got there, no one is certain, but we do know that it has been slowly spreading through commercial orchards since. There are very large campaigns funded by the U.S. and Canada to identify and halt the spread of this disease, and there are fungicides are available that can kill A. anomola. With all this information, what is the home grower to do? Fortunately, there are many new cultivars and hybrids that have been developed with partial to almost complete tolerance or resistance to Eastern Filbert Blight. Treating trees with fungicides has a lot of unintended consequences. My recommendation is just to plant trees resistant to the blight. Most of us are not going to be commercial Hazelnut growers. We don’t have acre upon acre of European Filberts, and we don’t have our sole source of income depending on the size of nut or quantity of harvest. Granted, some of the hybrids produce nuts that are smaller than the larger commercial hazelnuts, but when it comes to long-term health of our bodies and our land, as well as the time spent in trying to identify, prevent, and treat this disease, a smaller nut is not that big of a deal.